A typical fan reaction to APB's metered payment plan. Now, I’m actually not 100% sure as of the time of this writing what APB’s pricing models will look like when the game launches. I can’t find anything on the official site, and Realtime World’s designer Dave Jones recently told GamePro magazine said that “gamers won’t have to commit to any kind of monthly subscription fee or utilize a traditional microtransaction system.” I’m not sure what that means, but regardless I think it’s still interesting to focus on people’s reaction to that initial press release in May. Why were they so turned off by the pay by the hour options? As it sometimes turns out, psychology holds the answer. But let’s get there by way of a discussion about cell phones. Does that look familiar? 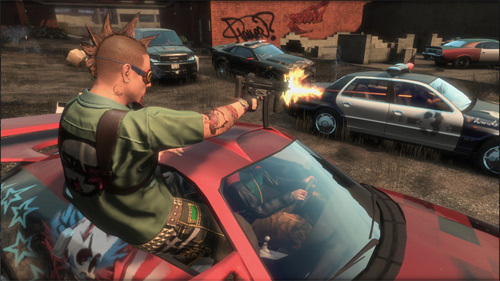 It’s not too far off from APB’s “$6.99 per 20 hours” option, but more on that in a minute. I could have easily gone for a $60 a month plan that let me spend unlimited hours on the phone, only taking breaks to send unlimited text messages. Or I could have sought out a plan that gave me hundreds of minutes per month, which equates practically unlimited minutes for my purposes. And not only would I have had plenty of company, many of us would probably have been overpaying. A 2009 article in the LA Times 4 reported on a study showing that the average user was paying over $3.00 a minute when you considered how much they paid and how many of their plan’s minutes they actually used. But not me! Bravo! Hooray my precious rationality! Only it still doesn’t feel right. Because I know that every time I flip that thing open to make a call I have to pay $.10 a minute I’m actually loathe to use the phone. I keep calls as short as possible, I groan when people ask me to text them, and when I’m traveling I’ll actually stalk my wife on Facebook until she comes online so I can ask her to call me on her phone. The reason for my discomfort is something called “the flat rate bias.” Generally, people like flat rates and don’t like being on a meter. 5 But why does the flat rate bias exist? Well, as is often the case with psychology, it’s turtles all the way down 6 because that’s just how people are. 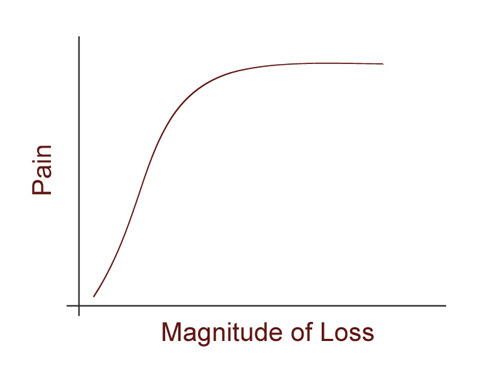 Figure 1: Artist's rendition of diminishing sensitivity to losses. Actual curves may vary by person and situation. This is the same reason people buy unlimited or excessive minutes on their cell phone plans. We’d rather have one big cut that seems less painful overall than endure a thousand (or 900 + unlimited mobile to mobile) cuts as the minutes fall away one by one. As a side note, it’s also the reason that rent-by-mail services like GameFly are so appealing relative to renting games one at a time. It’s preferable to sweep all our losses into one big, monthly pile and feel like we have “unlimited” rentals for that price than it would be to rent one game at a time by the day or even by the week. Ditto for Netflix and DVDs. Yet how many of us have let games or DVDs sit around for days or weeks before getting to them? Personally, I know that by my calculations renting “The Hangover” from Netflix just cost me over $11 because I held on to it for 5 weeks before finally watching it last night. Not exactly a great deal. So, armed now with this information about the flat rate bias and diminishing sensitivity, let’s circle back to one of the APB pricing described in that April press release, particularly that “$6.99 for 20 hours” option. My guess is that most people won’t go that route because of the flat rate bias. It’ll just be too painful to feel every individual hour pass away and think that it’s another one your prepaid hours gone forever. In contrast, people who paid just a little more can feel comparatively less pain because they experience just one loss instead of a parade of many smaller losses that feel like they add up to more. The funny thing is, though, that like those people paying over $3.00 a minute for their cell phone calls and me with my rented copy of “The Hangover,” there will be some number of APB players who OVER pay by selecting the $9.99/month, unlimited hours plan. Because they play fewer than 20 hours in a month but think it’s worth it not to have to feel like they’re “wasting” limited minutes all the time. I couldn’t agree more. Now, if you’ll excuse me, I have to go psych myself up to add $20 to my prepaid cell phone balance. 1. For those of us paying in US Dollars, anyway. USA! USA! 3. There was also some vague stuff in there about being able to earn game time in-game, but I’m gonna ignore that for now. 4. Lazarus, David (2009). Talk Isn’t Cheap? For Cellphone Users, Not Talking is Costly Too. Los Angeles Times, March 8, 2009. 5. Actually, aversions to metered payments vary a bit by culture; Eastern cultures show much lower preferences for flat rates. But you know …USA! USA! 6. Click here if you need help with that reference. 7. We also have diminished sensitivity towards gains, but because of loss aversion the magnitudes are smaller. 8. The caveat here, though, is that we don’t treat expenses from purchases in quite the same way as other losses, but that’s another article. Also it feels a bit like the thing where you get the Economist online subscription for 59$, the print subscription for 125$ and the online AND print subscription for 125$. Not the same thing, but pretty close. I actually thought a lot of the nerdrage over APB’s pricing was to do with all payments being done in a points system. 20 hours of gametime costs 280 points. Except you can’t buy 280 points, only 200 or 400 points. The only payment option that maps directly to an amount of playtime is the unlimited 30 days. I think you might be wrong. Faced with $6.99 for 20 hours or $9.99 for all you want to play within 30 days I think a lot of people will think about it, decide the $6.99 deal is better value, suffer the pain of a thousand small cuts that you describe and move on to another game. Their analysis will persuade them that the financially better deal is the right one even though psychologically they will be so unhappy under that payment scheme they will be driven out of the game. Here’s another reason for the 20 hour plan: a lot of the time, it’s the parents who are paying these, and knowing that our kid doesn’t waste more than 20 hours online on this game this month is probably a bonus. APB is Rating 18+. Kids should not be playing and parents should not be paying. Perhaps the brain is figuring the stress of playing on a time limit into the equation, and therefore coming up with a better choice than straight numbers would lead us to believe? Oca : APB is Rating 18+. Kids should not be playing and parents should not be paying. If I had a penny for every ‘should’.. Someone over at Realtime Worlds clearly had a lightbulb moment. While the APB model is a direct parallel to the mobile phone pricing model most of us subscribe to… most of us think we’re being *gouged* by the mobile companies, but have no good alternative. Loved the write up, Jamie. For my self, I’d rather over pay a bit, so I don’t have to think about the payment model and it always works. Always works is a pretty big deal to me. Huh, I hadn’t heard of that. Is that being done in North America, too? That might be true if they want to “demo” the game for a low investment, but at that point they’re already $50 (or more) into the hole and they do get a bunch of hours included with that retail price. As others said, for a game like this (M rated and requiring a subscription), I’d bet not a lot of parents are buying for kids. That’s probably part of it. Some explanations for loss aversion and diminishing sensitivity come from the idea that if you expend energy to go after something that you’re not sure what it is you could be a lot worse off than if you hadn’t gone for it in the first place. Kind of an evolutionary explanation. Yep, that’s a large part of it. Figuring out the break even point for 20 hours a month for $X is a lot more mentally taxing than grasping unlimited for $Y. In those situations we’re biased towards the simpler solutions. That’s a really good point, but diminished a bit by the fact that they have to buy the game at retail and already get their “trial” membership with that purchase. This probably applies most directly to people who decide to keep playing the game.